by Mike Lesky ~ October 4th, 2013. Hello OneHitKO! This article is a little later than intended, but I did get around to it and did not forget! Some very big changes are in the works and have been announced by Pokemon International recently, and we certainly need to talk about them as they affect us come November 8th. First off, the player going first can no longer attack on their first turn. This absolutely takes away all advantages big basic decks had in the past over evolution decks by going first. If the big basic player goes first and cannot put pressure on the field, this is huge for anything on your field that needs to evolve. 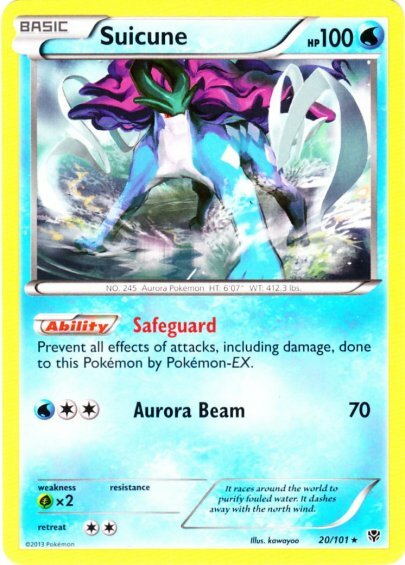 Also, now when a player playing an evolution deck goes first, they get a turn to get their basics out that need a turn to evolve and also abuse Tropical Beach. Now I know that this could cause some problems as not many people have access to Tropical Beach, mainly because the card is easily reaching prices over $150 right now and will continue to rise in price. However, most players who take this game seriously will find the resources to gain access to these cards, whether it is borrowing them, trading for them, or even buying them. Overall I think this is a step in the right direction for the game, along with the changes to Pokemon Catcher which now make the card’s effect a coin flip. This will now make players think twice about automatically throwing four of these into a deck. It will also give bench sitters a chance to be good again. And now that Eels are gone, I think this is also great for the game. 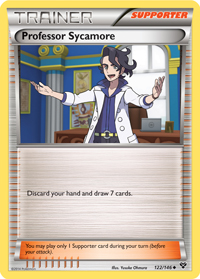 Also, there is a new supporter coming out called Professor Sycamore, which basically has the same text as Juniper. The only significance here is that you cannot play both of these in a deck because they have the same card effect. In fact, you can’t even play a split of the two cards such as 2-2 of each or 3-1. Although irrelevant to most, this would be a good thing to know for new players joining the game when X and Y are released. But now for the main reason I wanted to write this article, a new deck has just been made public by a Japanese player/writer named Ito Shintaro. Ito was the winner of one of the Spring Battle Carnival tournaments that took place last spring. These tournaments are basically World Championship qualifiers for Japan. The most interesting thing about this tournament was the deck he played. This deck has had some discussion in the past, but recently he posted his deck list for the deck online for everyone to see. It is hard to say for sure, but this deck could have a huge impact on our Fall Regional metagame now that it is posted with a few weeks left for play testing and refining. I personally will be considering this deck heading into Indiana Regionals come October 26th. The deck honestly has quite a few interesting matchups that when picked right, could dominate a large tournament like this. Thanks again to everyone who keeps reading these articles, please leave some feedback for us in the comments so we know what you the readers want us to write about next week. I hope to have my next article out on time next week, by Tuesday. Until Next time!